James Young has worked as a ski instructor for five years in Schladming and Wengen. He gives a crash course on how to become a ski instructor. While on a school ski trip in France many years ago, my friends and I observed a group of ski instructors standing at the bar after a day's teaching. They were extremely well suntanned, surrounded by girls and didn't appear to be paying for their drinks. Although their salopettes were a little tight (it was the 1980s), they looked pretty cool, and to me it seemed like the most amazing job in the world. Being a ski instructor is considered one of the best jobs in resort and (depending on how much experience you have) can also be one of the best paid. With fewer instructors able to work due to lower numbers of tourists though, its vital you pick the correct route to gain your ski-instructor jacket. I found the most solid route into this lifestyle was through the British Association of Ski Instructors (BASI). Based in Scotland, they are an internationally recognised training and grading organisation that can take an advanced skier or snowboarder and train them up to the high standards that ski schools require. One of the best things about the BASI system, as opposed to paying for an intensive gap year ski instructor course (which can be extremely expensive), is that it allows you to teach after each level has been completed. The experience you gain from real-time instructing as you progress is absolutely priceless. Here's how it works. Lets say you've worked an entire ski season or have a good number of weeks on the snow under your belt. Maybe your friend has said "your amazing! You should be an instructor!" or an instructor has said "sacre bleu! You should ‘ave my job!" The next step is to book your Alpine Level 1 Instructor course. It's a five-day course and can be taken in various locations in the UK. During the ski instructor course you'll be taught skiing safety, planning a basic lesson, helping out in emergency situations and also how to improve your own personal skiing and instructing ability. Be prepared to go back to basics though! You'll be surprised how many competent skiers can't demonstrate how to do a snow plough. Once you've successfully completed this level, you can legally teach on a dry slope or an indoor snow centre anywhere in the UK. After a minimum of 35 hours teaching experience, logged in by your employer, you are ready to progress to the Alpine Level 2 stage. This is where things get a lot tougher but a lot more fun. It's a 10-day ski instructor course that must be taken on snow so you'll be heading up to Scotland or any of the European resorts on offer such as Morzine or Hintertux. It's a minimum of five hours per day on the snow improving your skills on bumps, steep slopes, powder and even freestyle. Your BASI trainers will be following on your ski tails watching every turn and there's a huge emphasis on teaching techniques, communication skills and your own skiing ability (they had us skiing backwards on one ski!). It's a gruelling 10 days but you'll be surrounded by a lot of like-minded people who'll help out with advice and are all keen to support each other if anyone starts struggling. As well as the practical knowledge you'll gain, there's also two hours of lectures every evening. Avalanche control experts and piste rescue officials will be talking to you about the side of the skiing industry that most tourists never see. Sometimes during the day you are filmed demonstrating turns so once in the group environment these clips are shown and constructive criticism is dished out. Not everyone is guaranteed to pass this level but if you've worked hard and concentrated you will be awarded your level 2 badge. There are two further levels in the BASI system but the level 2 badge is enough to get you instructing work in a lot of ski schools in Europe (not France) teaching beginners through to intermediate standards. I found a lot of Austrian resorts were very welcoming to British level 2s as were a lot of the Swiss resorts. By this time, it's also really essential that you have some kind of language ability. Dave Renouf of BASI said, "If you're serious about taking up a career in snowsports instructing, you should have a good understanding of the language where you intend to teach." All countries vary on their laws and regulations concerning foreign instructors, but France is the toughest to break into. You must gain a BASI Level 4 badge (which is extremely hard to achieve) and then go on to ski a slalom course as fast as one of their top skiers. 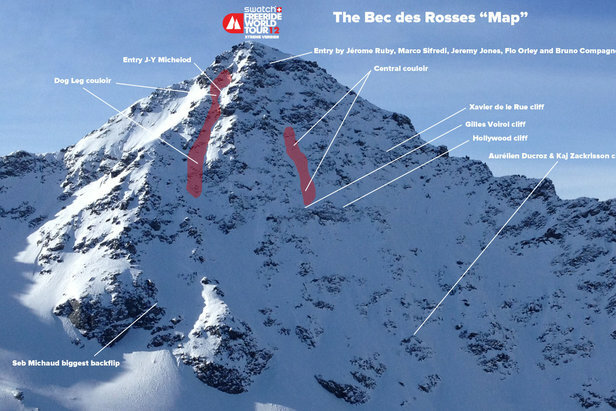 This has always struck me as quite harsh (and not much use for showing a group of people how to side-step up a hill) but the French are very protective over their ski industry. Most resorts in Italy will only let you teach for a limited amount of time throughout the season until you pass their own speed test but when business is down 20 percent in some Italian resorts, who can blame them for looking after their own guys? Its best to approach the bigger resorts as their need for extra instructors will be a lot greater. Once you've found work within a ski school, they should help you progress through the ranks taking whichever further exams you require. If you're lucky you may also find summer work in places like Australia or New Zealand where the British certificate is also recognised. Teaching people how to ski can be quite daunting at times. You may have a group of over-excited kids repeatedly wiping each other out or a group of adults who are absolutely petrified of any slope steeper than a green run so your patience has to be cast iron. The weather can be tricky to contend with and judging which runs are suitable for your class can also be difficult. Now and again it can be frustrating when the sun is shining, the powder is knee deep and you're teaching a group of beginners all day but that's a small price to pay for such a great job. 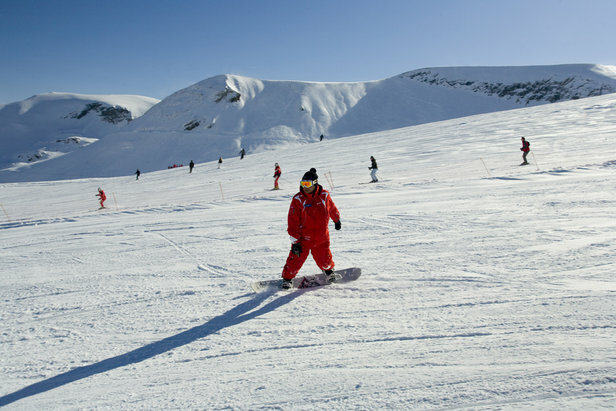 Ski school can make or break someone's winter holiday. Nobody remembers the hotel manager or chef but a good instructor's name will be etched on their memory for many years to come.